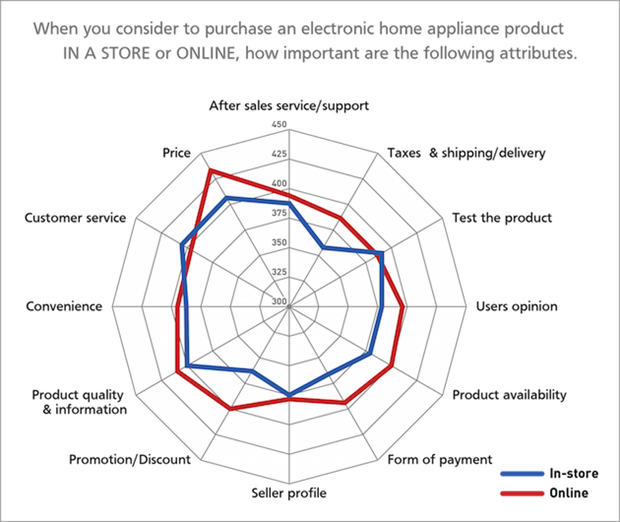 What Home Electronics Indian Consumers Purchased in 2014? Offline Stores Preferred! The Indian customer and his behavior patterns are changing constantly in the FMCG (Fast Moving Consumer Goods) industry especially with Food products leading the market break up with 43%. But consumer durables have seen a high increase in consumption as well as purchases. White Goods – such as ACs, refrigerators, washing machines, speakers etc. Consumer Electronics – such as DVD players, TVs, smartphones, MP3 Players etc. With these latest trends, we can say that consumers are fast taking a liking towards brown and white goods. As a proof to that fact, AC seems have many takers among Indians. With many AC manufacturers offering generous discounts, sure the popularity among the middle class is increasing. 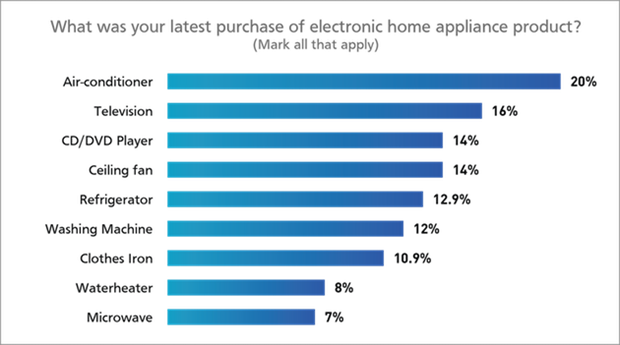 In the latest purchase, AC dominates the list with 20% of them buying ACs and then followed by Televisions and microwave at 7%. When asked how much they spent for the same, many said between Rs. 10,001 to Rs. 50,000 which means that people are willing to spend around Rs. 50,000 generously for these new durables. 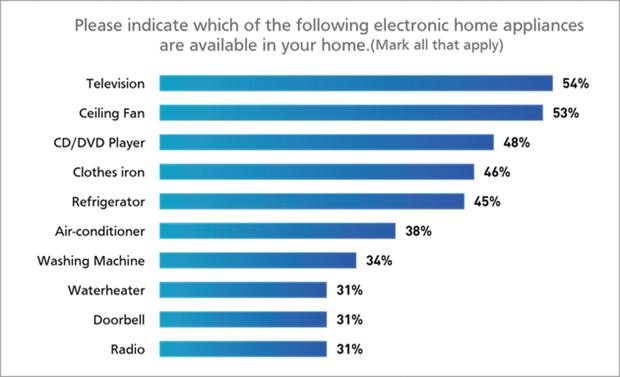 With the rise in e-tailers, when asked how many prefer to purchase from them, almost 43% did not mind purchasing electronic products online while the other 57% felt that showroom purchase was more satisfying. Studying the thinking patterns of the modern day consumers, it was found that price of the product was a big factor driving purchases for the leading online retailers and many considered user reviews to go for their desired products. Also big discounts, promotional offers and form of payment for the durables are converting prospecting customers into new customers. However the major share in revenue for consumer durables is the urban market that account to 65%. And most of them prefer buying online, thanks to the competition among the e-tailers, consumers are benefited at the end of the day. Many working professionals would prefer to skip the rush at a mall and rather order a new AC online at the click of a button. Though most online retailers say that their revenue is made up mostly from apparel, books and smartphones online, the consumer electronics are seeing an upward trend in sales every year. It has been estimated that size of the consumer durable market post of a growth of CAGR 15% during 2010-15. With key players of consumer durable goods such as Samsung India, Sony India, Whirlpool India, Panasonic, Phillips India, Voltas, LG India, Godrej India and Hitachi India reporting positive trends in consumers, we sure know yesterday’s luxury products are becoming today’s necessities. Flipkart To Create 10,000 ‘Millionaires’ in 2015: For Heavens, Stop Fooling Us! Offline Stores are Preferred because many online players don’t deliver to Rural areas, once they start doing it the ratio will change :).